As part of celebrations to mark our 25th anniversary, Heritage Lincolnshire has been running a community archaeology project in Heckington. The village has been home to our headquarters for 24 of those years, since we restored the former Heckington National School, and converted the dilapidated building to house our offices and archaeological facilities. The community project saw 12 small one metre square test pits excavated in back gardens across the village as a way to find out more about its history. “Until now there has been very little excavation within the historic core of Heckington, with most work focusing in the fields around it, either in advance on new housing estates being built or as a result of fieldwalking. This means we don’t know much about the origin of the village itself, or how it has changed over time. 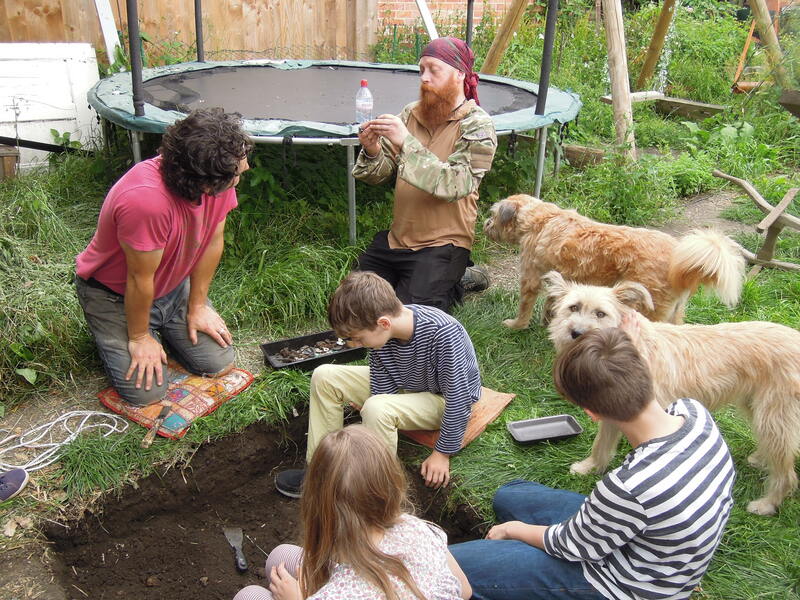 By working with the community to place test pits in private gardens we’re able to dig where no one has dug before, and working together we can shed new light on Heckington’s history. "-Dr Ian Marshman. The first to get digging were pupils at Heckington St Andrew’s CE Primary School who worked with our archaeologists and education officer to excavate a test pit on the school playing field back on the 12th July. Over 60 children from Years 3 and 4 took part, helping to dig, sieve, wash and record their finds. The pupils were digging close to the site of a now vanished building, which is shown fronting Cowgate on early maps of the village. The children revealed a range of finds that suggest this building could have been a blacksmiths. “it was a fantastic experience, and helped pupils step into the past” -Mrs Brewster, Headteacher. 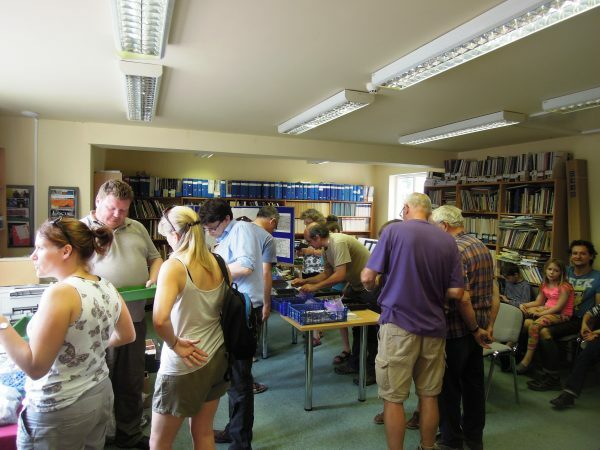 The test pit weekend itself took place over 23rd and 24th July and saw 43 people digging in 11 back gardens spread across the village, under the careful supervision of our experienced archaeologists. Several children from the school took part again after persuading parents or grandparents to dig another test pit at home. It was a real family affair with several test pits involving three generations of the same families, working together to uncover their village’s history. An impressive volume of artefacts were unearthed, including pottery, animal bones, metalwork and building materials. Star finds included Victorian glass bottles, a seventeenth century tobacco pipe, medieval window glass, musket *****, and a single sherd of 2,000 year old Roman pottery. Hundreds of fragments of pottery were found across the village, and will help us to chart the growth of the settlement over time. On Sunday afternoon volunteers were joined by Prof Carenza Lewis, well known from her role on Channel 4’s Time Team, and now Professor of Public Understanding of Research at the University of Lincoln. Prof Lewis pioneered the use of community test pit excavation as a way to understand the history of continuously occupied towns and villages like Heckington, and was keen to see what had discovered here. She also toured the gardens to look at the excavations and talked to villagers about the artefacts they had found. “This community project has been an excellent way of involving local people in our work, and it has been fantastic to see how much enthusiasm and interest there is here. We look forward to sharing the results and our birthday cake, with everyone at the Heckington Show next weekend”. -Liz Bates, Chief Executive Officer. Finds from the Heckington dig will be on display next weekend in our special 25th anniversary marquee at the Heckington Show. There will also be a chance to find out more about charity’s work and its achievements over the past quarter of a century. Get hands-on with our new courses!